Security is too important to be left in the hands of just one department or employee―it’s a concern of an entire enterprise. 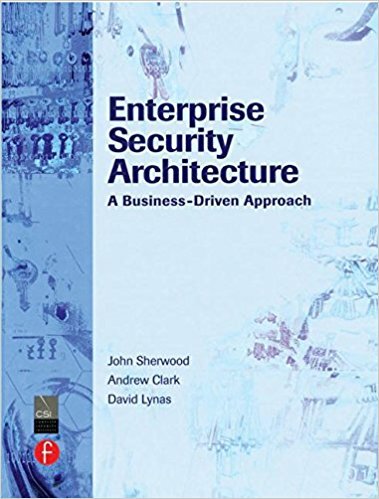 Enterprise Security Architecture shows that having a comprehensive plan requires more than the purchase of security software―it requires a framework for developing and maintaining a system that is proactive. The book is based around the SABSA layered framework. It provides a structured approach to the steps and processes involved in developing security architectures. It also considers how some of the major business issues likely to be encountered can be resolved. Available here for purchase on Amazon for Kindle and Hardcover.